The following reviews are from Real Client hairpiece wearers from The Review Book in The Hair Studio. I would like to highly recommend my hair specialist and friend, Chuck Gardner. If you are looking for a hair replacement Specialist, Chuck is your man. I have been using Chuck for the last 18 years for my hair care needs. After working with 2 others Chuck is the absolute best. He takes pride in his work and it shows. If you are not happy, he is not happy. Circumstances required me to move out of state in 2013. Chuck was more than happy to keep up with my hair care. We now do business long distance, with me ordering my hair replacements, Chuck styling them to perfection and providing me with the products I need for maintenance. Having Chuck as your stylist is like having a good doctor, dentist or mechanic. Over the years I’ve been to others and definitely consider him to be a major “cut above” (no pun intended). A true professional with years of experience who excels in customer satisfaction. His pleasing personality comes at no extra charge. First and foremost, Chuck Gardner is a man of integrity – and conducts his business accordingly. He is a talented professional, who pays attention to details, and is dedicated to pleasing his clients in service and products. The hairpieces Chuck recommends are of high quality, priced fairly and reasonably. His appointments are always “no wait” arranged to allow the necessary time required. As a client of ten years, I highly recommend Chuck Gardner. Dear Chuck: I picked up my new pieces today, took them home as per your suggestion followed your initial instructions. The pieces virtually styled themselves. All I did was run a brush lightly through them – absolute perfection. I have worn pieces for 50 years and these are absolutely over the top. Breathtaking. We have worked together on previous pieces and and I was extremely pleased. This time our vision, concept, length and styling was beyond my wildest anticipation. Your stylist technician is without peer. Her eye for a natural look cannot be surpassed. 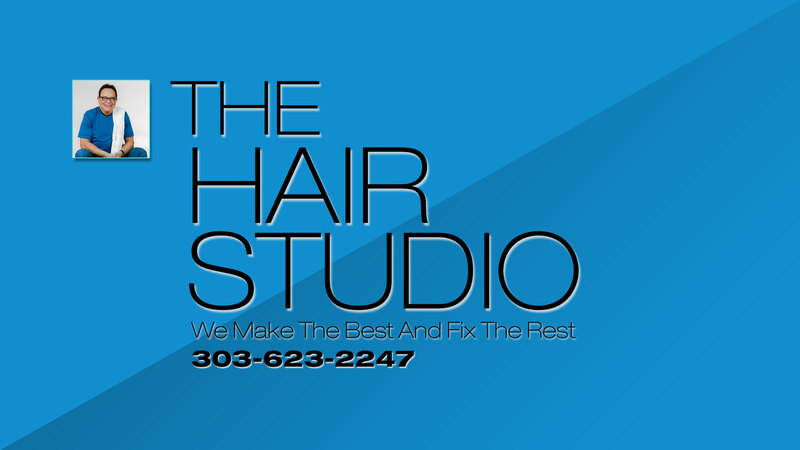 I have been a client of The Hair Studio for better than 10 years. Chuck has done a great job. With my hairpiece I look years younger. Chuck has cut my hair for more than 25 years. He is a quality individual, does professional work and has become a great friend. I always look forward to my visits with Chuck. Honest, ethical, skilled and fun are just words that come to mind when I think of my barber, Chuck. I have worn a hairpiece since the early 1970’s. However, it was not until 2006 that I had the privilege of meeting Chuck Gardner. To be honest, I did not think I could find a hair stylist that could have compared with my previous restoration professional. How wrong I was. From the very first visit I could not have been as comfortable and trustworthy as with Chuck. Besides being such a professional, Chuck has a great humorous personality. We have shared some fantastic stories and experiences. Yet, when the “Master” starts working on your hair pay attention and watch him work. I am so very thankful that I met Chuck and cherish him above all as a friend. I would not hesitate to recommend Chuck to anyone who needs his hair services. You will be treated with professionalism, total caring, and sensitivity to your needs. Throw in some good laughs and you have a fantastic experience. Thank you Chuck for all you have done on my behalf. You are the best. I have worn a hairpiece since 1982 with head injuries and problematic hair transplants. I have been a client at approximately 12 different hair replacement companies in 3 different cities. Chuck is the most skilled, experienced, knowledgable and caring hair replacement technician that I have ever worked with. I met Chuck Gardner sometime in the mid 80’s when he had a shop in Cherry Creek and, I’m still with him today some thirty plus years. Over the years we have had many encounters of obstacles and fulfillments. Everything was met with honesty and dignity of a man of his word. Chuck has never let me down and I’ve heard him say many times “If it ain’t right I ain’t doing it”. Over the many years I have come to also realize that Chuck is one of the finest craftsmen in his profession. We have shaken hands and I have walked out the door satisfies every time, and I’m thankful for knowing him. I’m sure we will be there until the end.